Mendocino County has coastline and climate on its side and a laid back attitude that welcomes families to try something different. A four-hour drive north of San Francisco, Mendocino attracts visitors looking for a touch of the wild with creature comforts nearby. 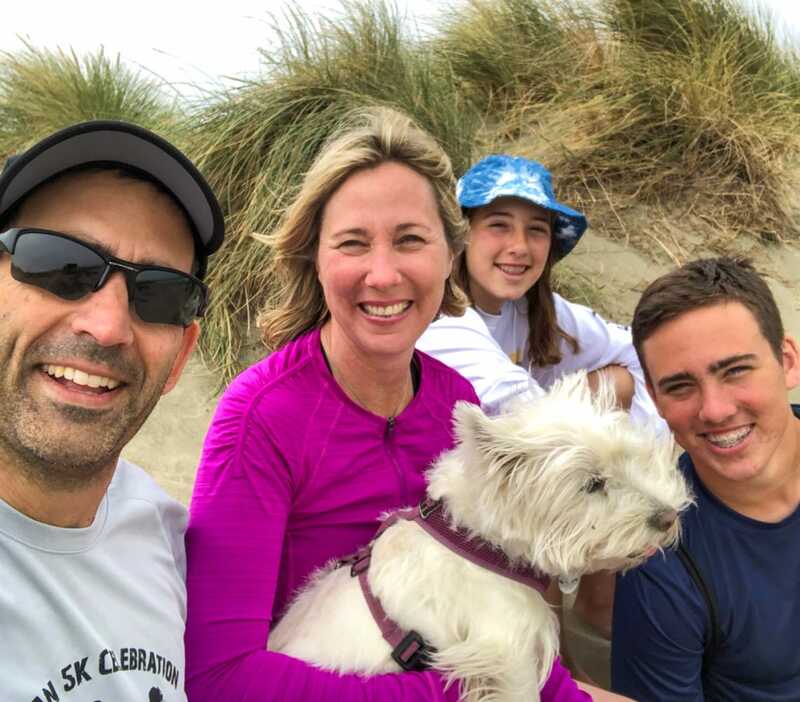 For my family, that meant we could explore wine country, hike, visit lighthouses or horseback ride during the day and return to the ultra family-friendly Little River Inn in the afternoon to sip the day’s finds or watch the sun set over the Pacific Ocean. Our days were full of discovery and a four day weekend flew by with so much left to do for the next visit. There’s a direct path from Little River Inn to the park which has a visitors center and miles of hiking trails. The forest here feels like a colder version of a tropical jungle with ferns and vines growing over fallen trees ala Jurassic Park. Dress warmly as it’s progressively colder as you hike further on the trail. Tip: Families with small children might want to drive to the last parking lot and start the hike at the trailhead versus a 10-15 minute walk from the visitors center. Ricochet Ridge Ranch offers horseback riding for the casual and serious rider and kids are welcome. The 2-hour beach ride is a popular option but we chose a private guided ride through the mountains that afforded tremendous views of the coastline. Our guide, Vida, was a no-nonsense, calming force who managed beginner riders (my kids) and a nervous parent (me) with ease and experience. This is not a typical nose-to-tail ride. We negotiated uphills and downhills on the ranch’s private land with panoramic views of the Mendocino coastline along the way. Vida put safety first and pushed us to know and understand our horses. We learned to be firm so they wouldn’t stop for a grass snack every five minutes and to position ourselves differently on the climbs and descents to lighten their load. The ride was a family bonding moment as we were all pushed out of our comfort zones and equally triumphant at the end. I grew up on a peninsula with 11 lighthouses and I never miss an opportunity to see or climb a lighthouse on vacation. Mendocino has two different but equally interesting ones to explore. Just north of Mendocino, the Point Cabrillo Light Station was built after the 1906 earthquake to guide San Francisco-bound cargo ships carrying lumber. It’s a 10-15 minute walk from the parking lot to the restored lighthouse where friendly docents explain the exhibits and lighthouse history to kids. The tower is not usually open for climbing but there are hiking paths on the bluffs. Tip: The lighthouse is open 365 days a year. Point Arena is the tallest lighthouse on the Pacific Coast and its 144 steps are open to climbers. It’s a 45-minute drive south from Mendocino with limited facilities along the way. The recently opened Stonetta Public Lands have added 12 miles of hiking paths and landed Point Arena on the New York Times list of “52 Places to Visit in 2014” so you’re likely to have company when you visit. Anderson Valley is gaining fame as a wine producing region and the family-owned wineries are an easy visit with kids. We liked Meyer Family Cellars for the playground, bocce courts and horseshoes and Balo Vineyards for the bocce courts and resident bulldog. Generations of local kids have grown up on Navarro Vineyards’ Gewürztraminer grape juice and our kids liked sampling the Pennyroyal goat cheese too. Wine isn’t the only well-known libation in Mendocino. The Anderson Valley Brewing Company offers beer flights and pints for adults but for the kids, it’s all about the goats. My 8 and 10-year-old spent half an hour picking long grass and hand-feeding the spoiled goats who prefer fresh picked greens. When you’re finished sipping, the winding Hwy 128 that leads to the Mendocino coast is full of treats and things to do with kids. Stroll through the redwoods at Hendy Woods and stop for apple tasting at The Apple Farm in Philo – they’re on the same road – or have lunch in Boonville and ice cream afterwards at French-inspired Paysanne. Glass Beach in Fort Bragg used to be the local dumping grounds for trash. The crashing waves left smooth sea glass all over the beach and while it’s tempting, you cannot take any home for souvenirs. The sea glass is interesting, but the tide pools are spectacular. We discovered a gumboot chiton – a prehistoric creature that, according to the Monterey Bay Aquarium, hasn’t changed much in 500 million years. Our explorations left little time to spend in the quaint town of Mendocino however one day we made a special trip to Frankie’s in search of mushroom ice cream. The name sounds “gross” but the local Candy Cap mushrooms don’t taste like vegetables in your creamy treat and the kids have a good story to tell when they get back home. 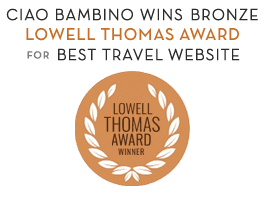 Need Help Planning a California Family Vacation? Editor’s Note: Kristi received a media rate to experience horseback riding with Ricochet Ridge Ranch. All photos by Kristi Marcelle unless otherwise noted. Great article! My husband is from Ukiah, just west of Mendocino, so he has memories of Glass Beach being full of large pieces of glass 20 years ago. When we go up there, we let our daughter run wild at Big River Beach and grab beers and play disc golf at Anderson Valley Brewing Company. I love the small-town feel up there. It almost makes you want to move out to the country!